Birva first approached our company almost a year ago. At that time, she was looking into Terranea and Four Seasons Santa Barbara. 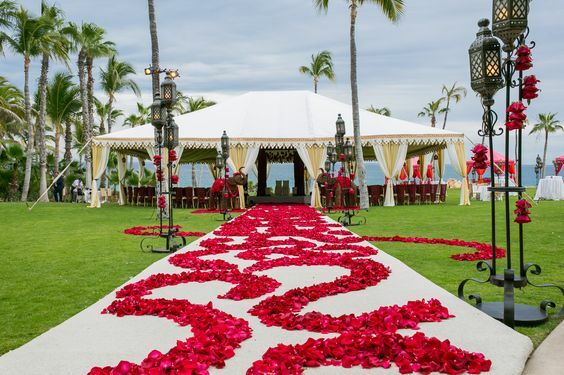 After exchanging a few emails about venues, one day she called to tell Nikki that they had set the date and venue was to be Calamigos Ranch in Malibu. 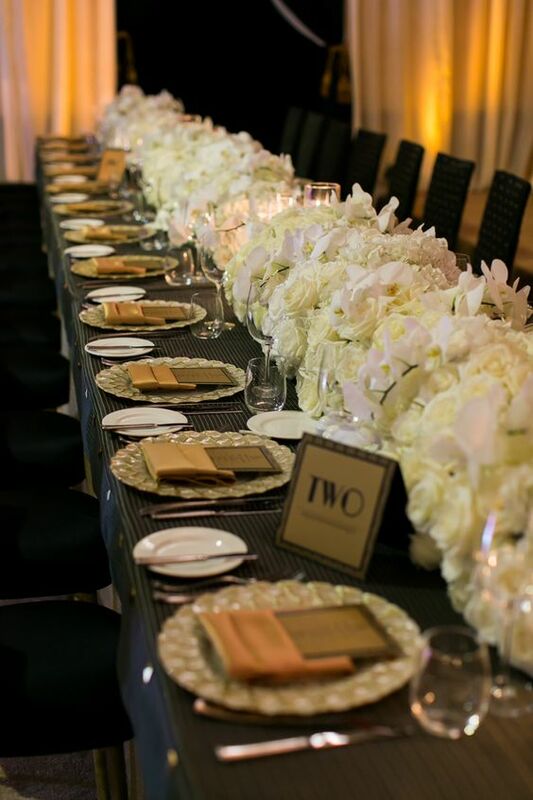 She wanted a rustic, elegant wedding distinctive of her and Ben’s personalities. After our first site visit, detailed discussion ensued and Nikki and Madiha walked away with a clear idea of what our future bride and groom were envisioning for their big day. Birva also made it clear that photo and video were two elements that were very important to both of them. 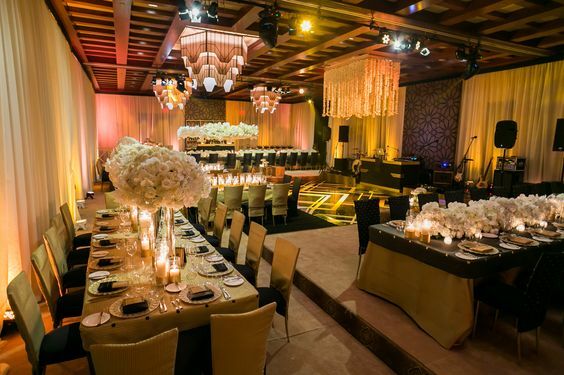 We were very lucky to have Mike Colon shoot the wedding and Elysium Productions was hired for the video. 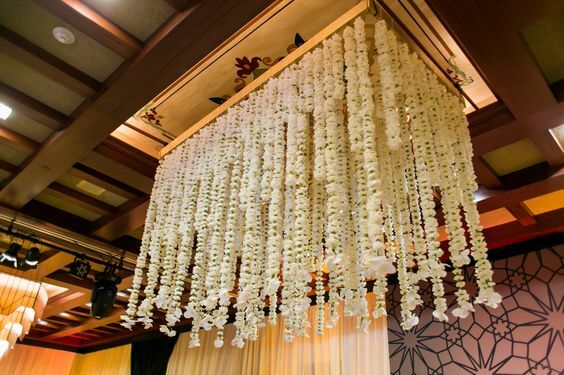 Birva wanted one WOW factor in the tent, which was based on her inspiration of a floral chandelier. 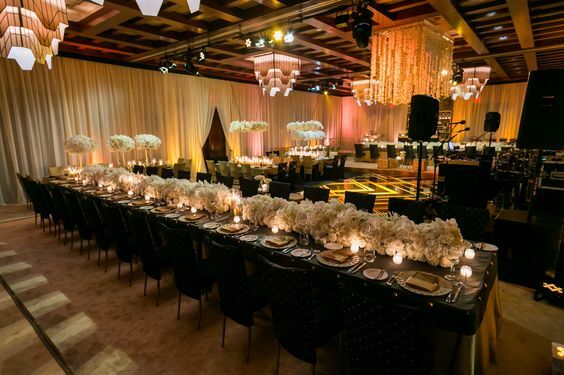 An added element in planning this wedding was that Birva and Ben both lived on the East Coast, so all the appointments were scheduled during their visits to Los Angeles. 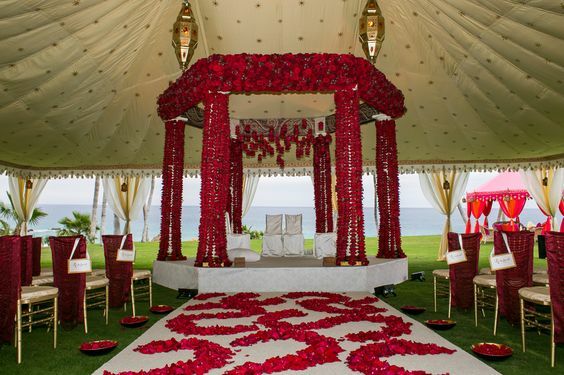 She also wanted her wedding to be deep Indian colors and reception to be more neutral and elegant. After careful consideration deep red and yellow was chosen for the ceremony. The ceremony site at the venue has a perfect raised area under a beautiful, mature tree, which had marigold garlands hanging. 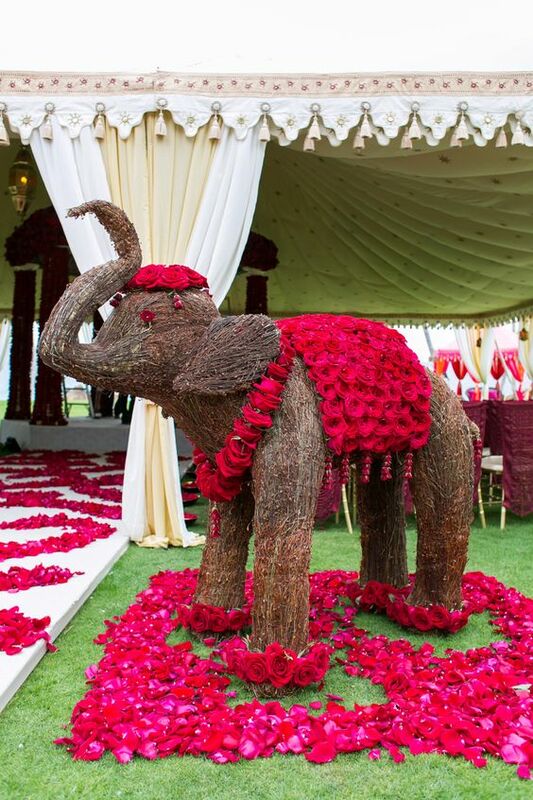 The mandap was a perfect compliment to the flora and fauna and blended with the surroundings. Ben arrived in a vintage Rolls Royce for his baraat with all the pomp and circumstance. 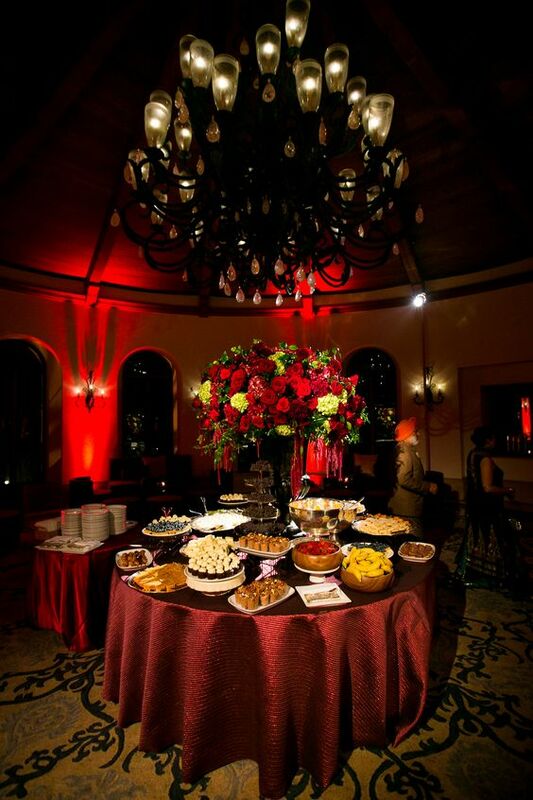 After the ceremony, guests enjoyed wine pairing with delectable bites during the cocktail hour and tasting from a local winery along with full bar while a string quartet entertained the guests. The tent curtain was lifted to reveal Birva’s vision of mixing rustic with elegance. 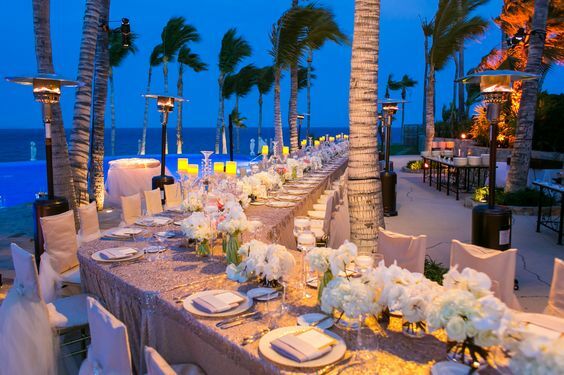 Colors were all neutral with a few long tables and rest all rounds. Birva and Ben changed reception attire and she wore a beautiful Monique Lullier while Ben looked dashing in his tuxedo. They made their grand entrance to thunderous applause and went to the dance floor for first dance. Guests were also treated to complete Indian and Italian fare and night ended around 12am when Birva and Ben left in the beautiful vintage car. Below are some screen shots of our favorite photos from the event. Click here to see more. Thank you to all of our vendors: Venue: Calamigos Ranch Photographer: Mike Colon Videography: Elysium Productions Florist: Hidden Garden Flowers Rentals: Luna Party Rentals DJ: Special Occasions Thanks so much for stopping by! Have an Exquisite weekend and we’ll see you here next Friday!